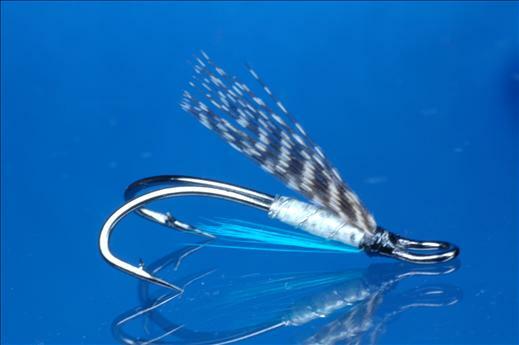 The Teal Moon LWD is a remarkably effective pattern for Salmon and sea trout that works wonders on skinny waters. The faint glowing light emission from the body is very effective and can be charged with a standard torch or UV torch. Tag : Oval silver tinsel. Body : Luminous white flashabou or mobile. Rib : Over silver tinsel. Throat : Kingfisher blue hackle. Currently there are no comments about the Teal Moon LWD fly pattern from other fly fishermen yet.